It’s vampire politics as usual around the town of Bon Temps, but never before have they hit so close to Sookie’s heart… Growing up with telepathic abilities, Sookie Stackhouse realized early on there were things she’d rather not know. And now that she’s an adult, she also realizes that some things she knows about, she’d rather not see—like Eric Northman feeding off another woman. A younger one. There’s a thing or two she’d like to say about that, but she has to keep quiet—Felipe de Castro, the Vampire King of Louisiana (and Arkansas and Nevada), is in town. It’s the worst possible time for a human body to show up in Eric’s front yard—especially the body of the woman whose blood he just drank. Now, it’s up to Sookie and Bill, the official Area Five investigator, to solve the murder. 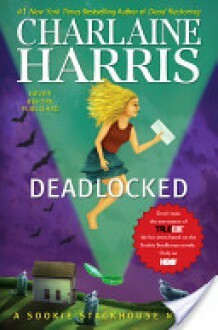 Sookie thinks that, at least this time, the dead girl’s fate has nothing to do with her. But she is wrong. She has an enemy, one far more devious than she would ever suspect, who’s set out to make Sookie’s world come crashing down.